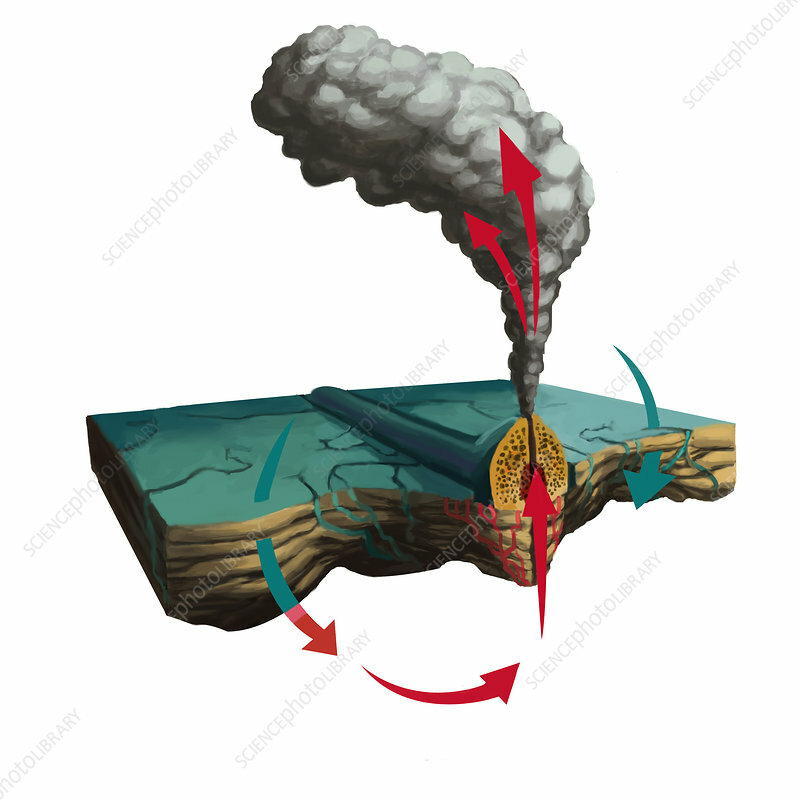 Simplified diagram of hydrothermal circulation in an ocean vent. Cool ocean water is drawn into the hydrothermal system through faults or cracks in the ocean floor. The water is heated by the magma beneath, rising as it gets hotter; the temperature may reach 400 Celsius.